This Mobile Monitor Stand Includes Everything to Set up and Start Using! This Flat Screen Fixture is Built to Last for Years of Use! This Mobile Monitor Stand has a Black and Chrome Finish. 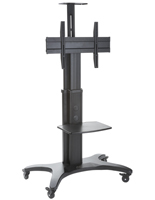 Heavy duty stand holds a television 37" - 60" in size & weighing up to 176 lbs. 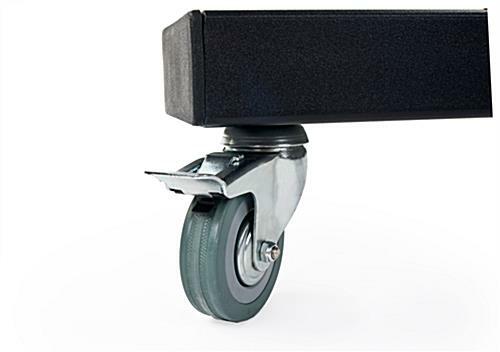 (4) Locking caster wheels to easily move and lock stand into place. Mounting hardware included for most flat screens. Customer responsible if special screws are required. This mobile monitor stand that is VESA compatible can adapt to most flat screens. This lcd display is sleek and will fit into nearly any environment. 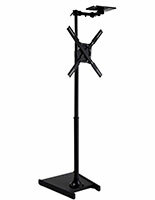 This heavy duty mobile monitor stand, also known as a rolling lcd display, is great for tradeshows or conferences. This tv rack is durable and meant for many years of use! 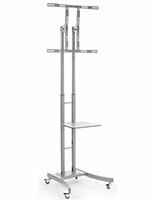 This lcd tv rack, mobile monitor stand that has black and chrome steel is sleek and stylish. 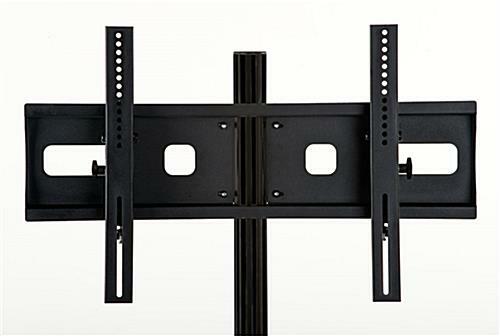 This rolling tv display includes a VESA compatible bracket that holds 37" - 60" televisions. 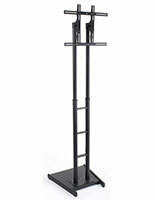 This mobile monitor stand has 4 wheels making it ideal for tradeshows or conferences and even in a commercial setting. 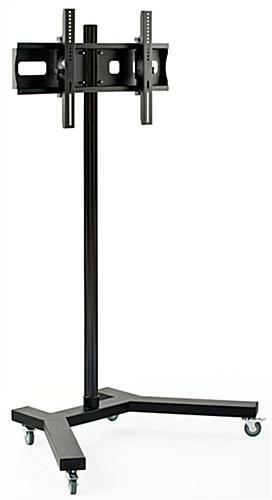 The chrome pole and black powder coated steel base is tough to handle heavy traffic. This mobile monitor stand is a great way to promote and advertise your business. 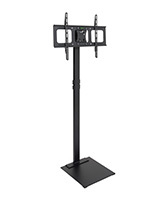 This display includes a mounting bracket for 32"-84"+ screens weighing less that 176 lbs. which is ideal for large advertisements. This mobile monitor stand has a uniquely designed base for stability. This tv rack is chrome and black steel for a sturdy and stylish display. 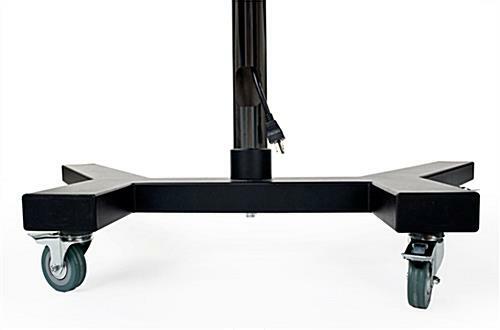 This single mount mobile monitor stand is equipped with 4 caster wheels for easy mobility. This lcd mounting rack is a heavy duty display and will last which will save money in the long run! This mobile monitor stand that has 4 locking wheels is simple to move around a room. This television floor display is stable with the locking wheels so it will stay in place and securely hold a screen. This tv rack is equipped with a bracket and simple to follow assembly instructions. This rolling tv mount ships unassembled to save on costs. This display is great for businesses to utilize during presentations in an office or at a show. This durable display is built to last and sustain through use in high traffic areas. 46.0" x 71.0" x 29.5"
31.5" x 8.4" x 4.0"